That’s exactly the reason why I separated this basic mixed minced meat recipe from the other posts I used it for. 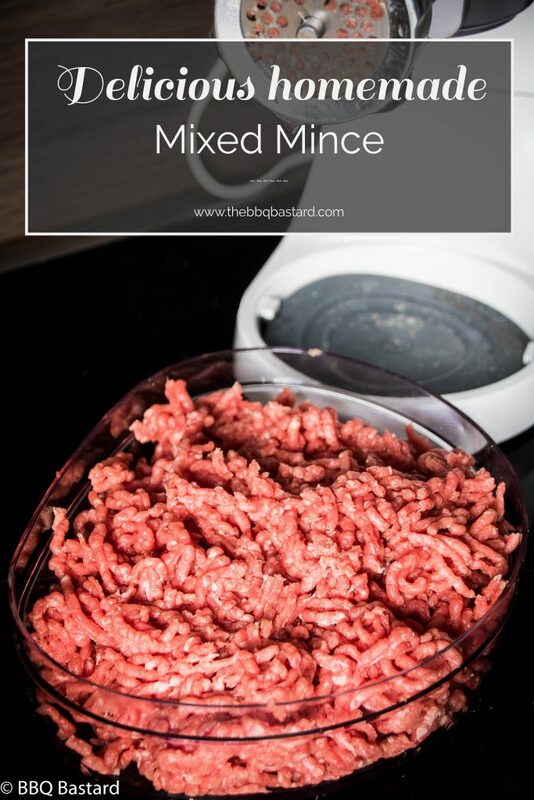 Since I’m making my own mince, I’ve been using a lot of mixed minced meat and will share some of those recipes with you along the way. You can use this as a base to go out and experiment with making mince. You will find out you can vary a lot with your favorite herbs and spices. 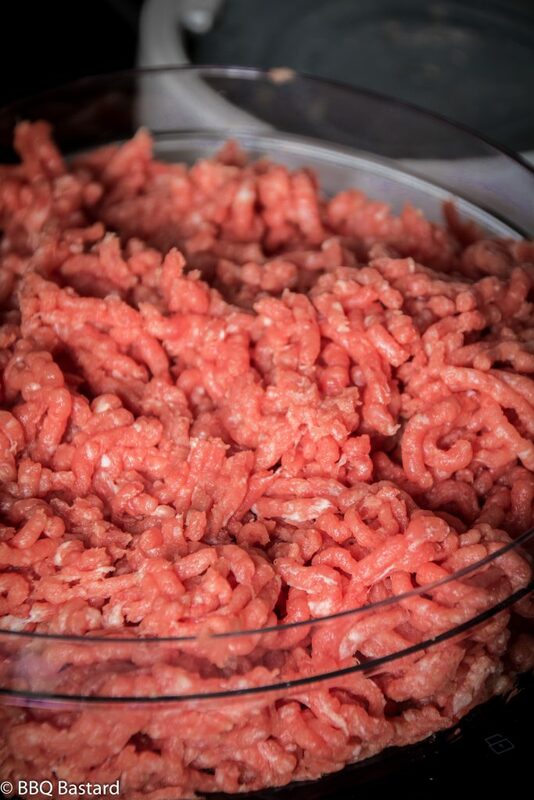 I would encourage you to do so and create your own favorite mince to cook with. A lot of fun will be your part. I bet you will be making loads of recipes with your homemade mixed mince. 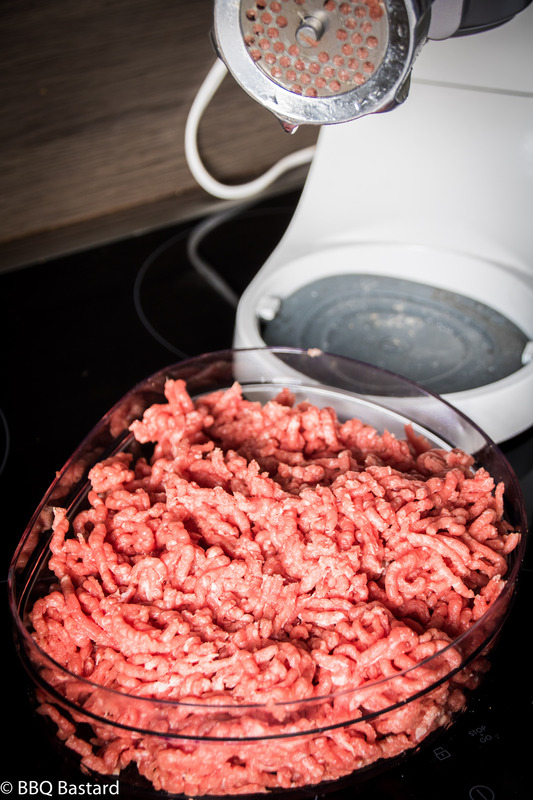 The process of making your own mince is not that difficult as it seems to be. The hardest thing for me was finding the right composition of taste and texture. Now I’ve found what I like I will share it with you so you can start from here and experiment with your own preferences. First you need to decide what meat you want to use. Since I wanted mixed minced meat with a good texture and taste I opted for the mix of beef and pork belly. The beef shoulder brings a more firm structure and deeper meat taste. The pork belly on the other hand brings a moisty (tasteful) texture. Yet I opted to remove the skin and fat from below the skin to obtain a somewhat leaner result than storebought mince. You can also use pork shoulder for this. Once you’ve chosen your meat, you need to cut it in large dices from about 3 cm. 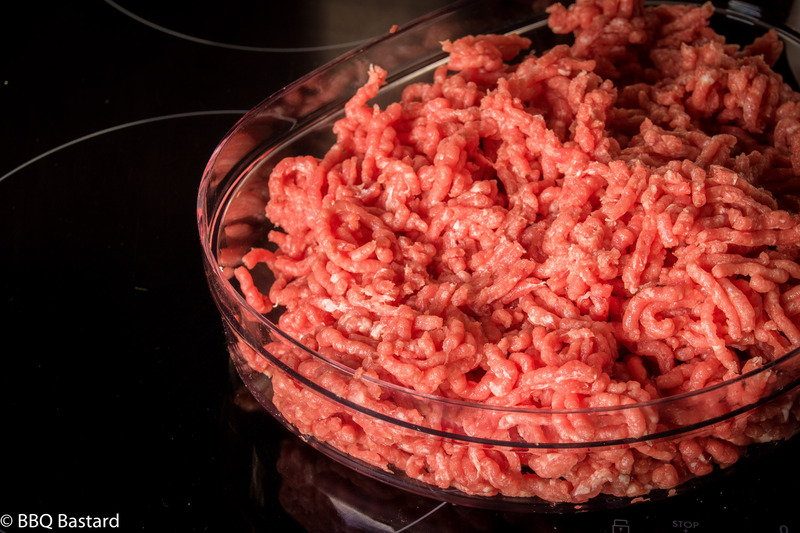 You need to freeze the meat for about an hour before processing it in your meat grinder. This way the meat will be easier to handle. I don’t know much about the differences between different types of meat grinders. I use this one and I’m happy with it (it comes with a sausage maker too). Make sure you look for models with replaceable screens. To obtain a pleasing structure and work with ease I grind the meat twice. First time with the coarse screen, second time with the medium screen to obtain a firm texture after cooking. Now you’re ready to mix in the spices. Make sure you do this thouroughly or you will end up with pieces with to much seasoning and pieces without. Thank you for stopping by. I hope to hear all about your favorite mince recipe on facebook. Please take a moment to support this blog by spreading the word among your friends! Share away BBQ lovers! Homemade mixed minced meat! No excuses left for making instant burgers! 1. Cut the meat in dices from about 2 cm. each. 3. Put the seasoned meat in the freezer for about an hour. 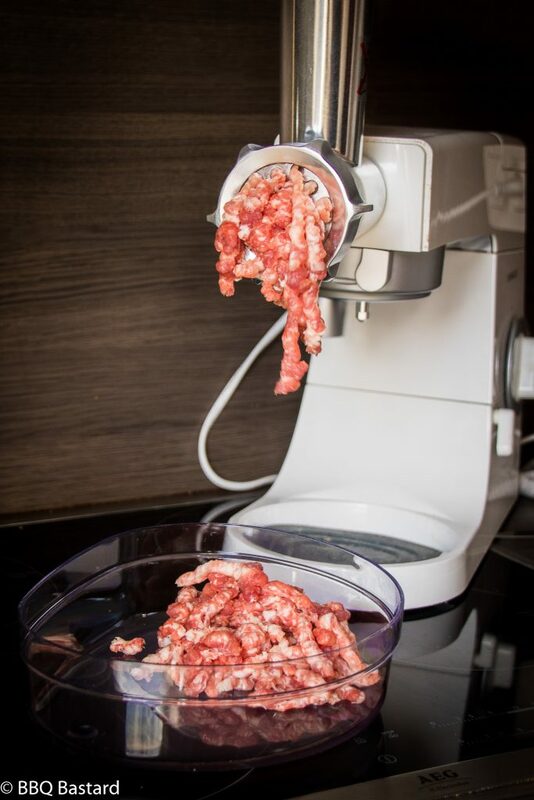 This way your meat will get firmer and easier to process in the meat grinder. 4. Chop the meat with the largest screen (8 mm.) for coarse grinded meat. 5. Chop the meat a second time with the middle screen (4.5 mm) for finer chopped meat. My intent with this blog is sharing you some recipes as a source of inspiration you could access for free. Bringing this content however isn’t free. Therefore I make use of affiliate links to cope with the costs. Buying stuff through these links makes me earn a small referral commision. This support helps me running this blog. I guarantee no false statements will be made on this blog and only products I believe in will be linked. Hoping you understand this decision. Thank you! :). - There's an affiliate link on the  "Kenwood Meat grinder"